Josh Dugan has become emotional during an interview. 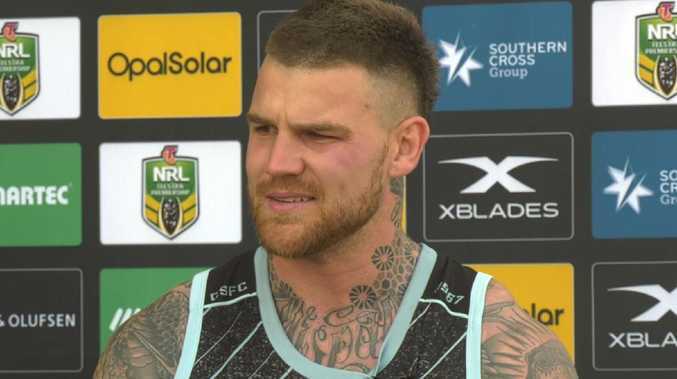 AN emotional Josh Dugan has revealed he's been trying for five years to change the public's perception of him for the better. But the former Kangaroos and NSW rep star says the media has sabotaged any chance he's had of doing so. The Sharks centre says he's been an "easy target since 2013... when I got sacked from Canberra". "Everyone has had an opinion of me since then and it's never going to change," he said on Tuesday. He pointed to work he's been doing off the field that goes unnoticed. 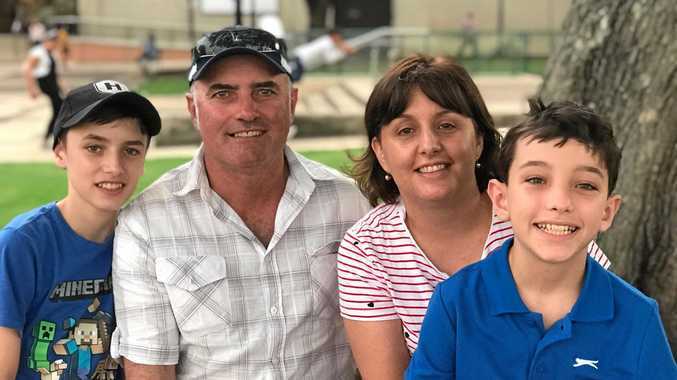 "I raised $15,000 for a boy recently, visited him in hospital, he passed away, you didn't hear about that," Dugan told a media all-in, struggling to keep it together. "I've got my diploma in community social work... things you don't hear about. "I've always felt like I can help people because of what I've been through... and I'll continue to do that." "There's probably one ([good news story) every couple of months - other than that negativity sells papers," a bristling Dugan said. "I've copped a lot of brunt for the things I've done and I've accepted that and moved on, but it doesn't help when negativity sells papers." In February, he was also with Fifita when they were thrown out of the Cronulla RSL for swearing and causing a scene. And last year, he was again with Ferguson when they had a lengthy drinking session at Lennox Point Hotel just days before the Origin decider. His skipper, Paul Gallen, revealed he'd been trying to help Dugan deal with the the media attention, particularly social media abuse, but understood why he was struggling. "I know how hard it is when the media is into you... I think social media's the biggest thing for Duges... it can be a cesspool for gooses," Gallen said.